Kyle started working at ispace as the Global Business Development Manager. In this role he secured a number of space agency, governmental, and commercial agreements while starting new offices in and the USA and Luxembourg. Kyle holds a Masters in Space Studies from the International Space University and a Bachelors in International Security. He is a member of The Hague Space Resources Working Group, the Moon Village Association, and in 2015 he won the Space Generation Advisory Council’s Space Leader award. Dr. Jon Arenberg leads engineering and development of Space Science Missions at the Space Park Center of Excellence at Northrop Grumman Aerospace Systems, a premier provider of manned and unmanned aircraft, space systems and advanced technologies critical to our nation’s security and the advancement of science. In his current role, Arenberg leads engineering for Northrop Grumman Aerospace Systems Space Science Missions, developing, planning, and conducting strategic analyses for various NASA astrophysics missions, including the James Webb Space Telescope. He is responsible for directing Northrop’s studies of potential successor missions to Webb. In his previous role, Arenberg led the development of optical, space and laser systems as the lead engineer. Arenberg has 28 years of experience working on astronomical programs such as the Chandra X-ray Observatory, development of the starshade and NASA’s James Webb Space Telescope. In addition to his work on astronomical systems, he has contributed to major high-energy and tactical laser systems, laser component engineering, metrology, optical inspection and technology development projects. 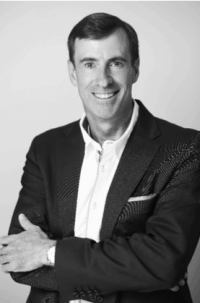 Dr. Arenberg has a Bachelor of Science in physics, a Master of Science and PhD in engineering all from UCLA. 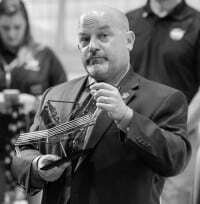 As a committed member of the science community, Dr. Arenberg is a longe serving California State Science Fair Judge and is a referee for several journals. He is a fellow of the international optical engineering society, SPIE, the author of over 160 conference presentations, papers and book chapters and holds a dozen European and U.S. patents in a wide variety of areas of technology. Dr. Arenberg is also the co-author of a forthcoming book on systems engineering for astronomy from SPIE press. 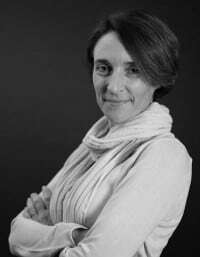 During her 20-year career at Ball, Barto has contributed to the Hubble Space Telescope science instruments and the Large Synoptic Survey Telescope, a large ground-based telescope under construction in Chile. Prior to joining Ball, Barto conducted research in General Relativity at NASA’s Jet Propulsion Laboratory. Barto is actively involved with the astronomical instrumentation community through the International Society for Optics and Photonics (SPIE) and has represented the society both locally and internationally at major technical symposiums, exhibitions and education programs in North America and around the world. She, is the acting chair for the SPIE Astronomical Telescope + Instrumentation Symposia and serves on the SPIE symposia committee. Additionally, she was recognized for her technical contributions to Webb optical verification program with the 2014 Women in Aerospace Achievement Award. When she is not building the next generation astronomical observatories, Barto fuels her passions for STEM by participating in education outreach, promoting inquiry based learning, and educational equity and opportunity. Barto serves as co-lead of the Ball Corporation Women’s Resource Group, supporting the corporation’s Diversity & Inclusion goals to support women at Ball and the next generation of female STEM professionals. As director of Global Corporate Citizenship, Carleen Beste is responsible for the development and implementation of Northrop Grumman’s Corporate Citizenship strategic plan and programming which includes K-12 education, military and veterans, environmental stewardship, employee volunteer initiatives, community engagement and the company’s philanthropic endeavors. As the manager of the Northrop Grumman Foundation, she oversees all Foundation programming, which focuses on science, technology, engineering and math education. Beste also has a broad background in public affairs and communications. She has held several leadership positions within the community, both representing the company and personally, and currently serves on the Board of Education for the Hermosa Beach City School District. She graduated from The Ohio State University with a bachelor’s degree in journalism and holds a certificate in Corporate Community Involvement from Boston College Center for Corporate Citizenship. The Northrop Grumman Foundation supports diverse and sustainable programs for students and teachers. These programs create innovative education experiences in science, technology, engineering and mathematics. For more information, please visit www.northropgrumman.com/foundation. Lisa B. Callahan is Vice President and General Manager of the Commercial Civil Space line of business for Lockheed Martin Corporation’s Space Systems Company. In this role, she is responsible for all aspects of execution and growth for Commercial and Civil markets in human and robotic deep space exploration, communications and weather and remote sensing. 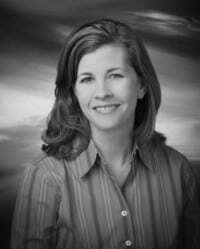 Ms. Callahan is also responsible for Michoud Operations and related activity at Stennis Space Center. In her previous role as Vice President of Corporate Internal Audit of Lockheed Martin Corporation – reporting directly to the Lockheed Martin Audit Committee of the Board of Directors – Ms. Callahan provided independent, objective assurance and advisory activity to improve the Corporation’s operations. Under her leadership, Corporate Internal Audit determined the adequacy and effectiveness of the Corporation’s network of risk management, internal control, and governance processes as designed and represented by management. Her prior leadership roles also include Vice President and General Manager of the Mission Systems & Training Undersea Systems line of business for Lockheed Martin Corporation, Vice President of Lockheed Martin Corporation’s Maritime Ballistic Missile Defense Program, and Program Director for Lockheed Martin’s Simulation Training and Support business. Ms. Callahan graduated from Virginia Polytechnic Institute and State University with a Bachelor of Science in Electrical Engineering. Currently, she is a member of the Dean of Engineering Advisory Board. Rob Chambers is the director of Human Spaceflight Strategy and Business Development for Lockheed Martin’s Corporation’s Space Systems Company. In this role, he is focused on Lockheed Martin’s blueprint for deep space exploration, leveraging the company’s proven heritage in robotic and human spaceflight to extend humanity’s understanding of our solar system to answer fundamental questions about where we come from, where we’re going, and whether we’re alone in the universe. Rob has been with Lockheed Martin since 1993 and has worked on a variety of Space Systems Company programs including Earth remote sensing satellites, the Space Shuttle, Orion, and deep space habitats. Rob has bachelor’s and master’s degrees in Aeronautical and Astronautical Engineering from Purdue University. Throughout his career, Rob has led the development of guidance and controls subsystems, avionics, and flight software. 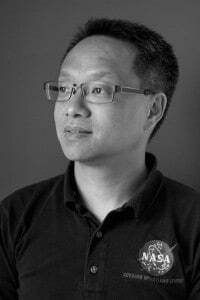 Eric Choi is the senior business development manager for the Space business unit of Magellan Aerospace. Over the course of his career, he has held positions of increasing technical and managerial responsibility in both the aviation and space sectors, the latter encompassing work on the Meteorology (MET) payload on the Phoenix Mars Lander, the Mobile Servicing System robotics on the International Space Station, the RADARSAT-1 Earth-observation satellite, and the MOPITT (Measurements of Pollution on the Troposphere) instrument on the Terra satellite. He holds a bachelor’s degree in engineering science and a master’s degree in aerospace engineering from the University of Toronto and an MBA from York University, and he is an alumnus of the International Space University. In 2009, he was one of the Top 40 finalists (out of 5,351 applicants) in the Canadian Space Agency’s astronaut recruitment campaign. As an editor and writer, he was the first winner of the Isaac Asimov Award (now the Dell Magazines Award) and has twice won the Prix Aurora Award, Canada’s highest speculative fiction honour, for his Mars-themed short story “Crimson Sky” and for the anthology The Dragon and the Stars(DAW). With Ben Bova, he co-edited the hard SF collection Carbide Tipped Pens(Tor). His new short story “Fixer Upper”, about a Chinese expedition to rescue the International Space Station, appears in the anthology Science Fiction by Scientists(Springer) edited by Michael Brotherton. Rodrigo da Costa became the Galileo Services Programme Manager in March 2017. Prior to joining the GSA, Mr da Costa held several senior project management, business development, and institutional key account management positions for Airbus Group, in the areas of human space flight, exploration, launchers and R&D. 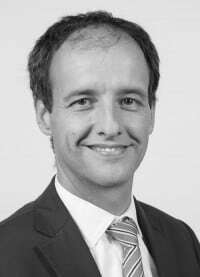 Mr. da Costa holds a degree in Aerospace Engineering from the “Instituto Superior Tecnico” in Lisbon, a Master’s degree in Aerospace Engineering from the University of Delft, and an MBA from the EuroMBA consortium of Business Schools. As Executive Director of the GSA, Carlo des Dorides sets the vision of the Agency and ensures that the GSA accomplishes its mission of supporting the effective operation, maintenance and security of the Europe’s satellite navigation systems, Galileo and EGNOS, while guaranteeing optimal service levels and developing applications and services that ensure the satellites benefit end users. He has almost three decades of experience managing space service focussed teams. 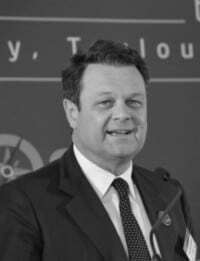 He has held key management responsibilities at the European Commission and was responsible for the definition of the Galileo/EGNOS exploitation phase and the EGNOS operational phase. Before joining the Commission, he led the Concession Department at the European GNSS Supervisory Authority and served as Chief Negotiator of the Galileo Public-Private-Partnership/Concession contract at the Galileo Joint Undertaking. His career has focussed on program management and operations of advanced satellite systems. As Director of Programs and Engineering at ENAV, the Italian air navigation service provider, he was responsible for updating the technology of Italian airports and Area Control Centres. Prior to that he held several management positions in the aerospace private sector including Head of advanced telecommunication programs and Program Manager for major satellite telecommunication projects at Alenia Spazio. He holds a degree in engineering from the University of Rome and an M.B.A. from CUOA, Vicenza, Italy. As head of international affairs, Eisenhart is principally responsible for the Space Foundation’s global strategy and relationships with international space agencies and organizations, foreign embassies and U.S. organizations involved with global space programs. He is directly responsible for the program development and integration of key Space Foundation activities including the annual Space Symposium. He also supervises the Space Foundation’s government affairs activities in the Washington, D.C., office including relationships with government agencies, other space advocacy organizations and associations and corporate interests. Since joining the Space Foundation in 1996, Eisenhart has had a broad range of responsibilities, serving as senior vice president of strategic communications, director of communications and public affairs and communications manager. Eisenhart was a military public affairs official and is a graduate of the United States Military Academy at West Point. Pascale Ehrenfreund has been Chair of the DLR Executive Board since 17 August 2015. Born in 1960, Ehrenfreund obtained degrees in Astronomy and Biology at the University of Vienna, where she also earned her doctorate in 1990. Ehrenfreund was appointed as a Fellow of the European Space Agency (ESA) at the Leiden Observatory in the Netherlands, upon completion of her doctoral studies. She was awarded an APART fellowship from the Austrian Academy of Sciences (from 1996 to 1999), which she used to complete her professorial thesis, ‘Cosmic Dust’, at the University of Vienna. Between 2001 and 2005, Ehrenfreund held a professorship in Astrobiology at the University of Amsterdam and the University of Leiden, where she remains a Visiting Professor today. In addition, between 2005 and 2008 she was a Distinguished Visiting Scientist at the Jet Propulsion Laboratory in Pasadena, USA, which is part of the California Institute of Technology. 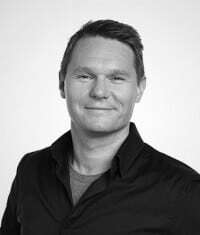 Ehrenfreund obtained a Master of Arts in Management and Leadership in 2008. Since then, she has been Professor of Space Policy and International Affairs at the Elliott School of International Affairs, George Washington University, and Lead Investigator at the NASA Astrobiology Institute. She accepted the honorary position of President of the Austrian Science Fund (FWF) in 2013, from which she stepped down upon her appointment at DLR. Ehrenfreund is married with two children. 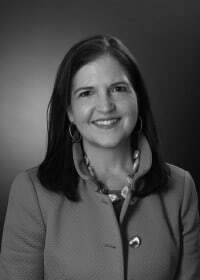 Debra Facktor is a recognized leader in the global aerospace and defense industry. 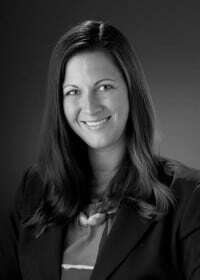 She is Ball Aerospace’s senior executive in the Washington, DC region, leading Washington Operations, Marketing & Communications, and Strategic Development. Debra bridges Ball’s commercial, civil, tactical, defense and analytics business units to align and execute a company-wide strategy that enables innovative mission-level solutions for its customers. Most recently, Debra also led Ball’s Commercial Aerospace business unit where her work has set the stage for Ball to grow and innovate in the commercial market. The guiding principle of Debra’s 30-year career is doing what has never been done before. As an entrepreneur, executive and business owner in the early space launch startup community at Kistler Aerospace Corporation, AirLaunch LLC and DFL Space, she has first-hand experiences navigating the challenges of introducing new solutions and business models into existing markets. Her actions helped pave the way for privately funded reusable launch vehicles, commercial space station re-supply, and operationally response access to space. At Stevens Institute of Technology, Debra conducted systems engineering research of U.S. Department of Defense organizations engaged in rapid development of technologies and capabilities for urgent needs, as well as led a new engineering master’s program in technical leadership. Earlier in her career, as chief of Moscow Operations for ANSER, she set up joint partnerships with Russia and contributed to U.S. policies to bring the country into the International Space Station and to enable use of Russian rocket engines in U.S. launch vehicles. Debra’s strategic vision emphasizes innovation, collaboration and execution, and she appreciates how diverse, transformational teams can have a tangible impact on outcomes across our industry. 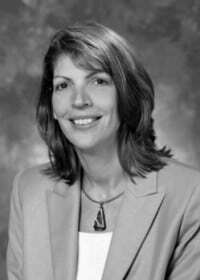 A dedicated mentor to the next generation of aerospace industry professionals, Debra serves on the board of the Future Space Leaders Foundation, and the industry advisory boards of the University of Michigan Aerospace Engineering Department and the Johns Hopkins University Space Systems Engineering program. 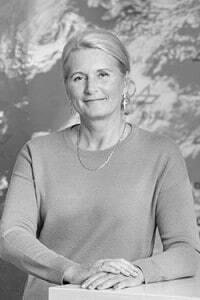 She is the former chair of the board of Women in Aerospace (WIA) and founding president of the WIA Foundation. Among other distinctions, she is a fellow of the American Institute of Aeronautics and Astronautics (AIAA), a fellow and on the board of the American Astronautical Society (AAS), and an Academician of the International Academy of Astronautics (IAA). She is also an appointed member of the FAA’s Commercial Space Transportation Advisory Committee (COMSTAC). 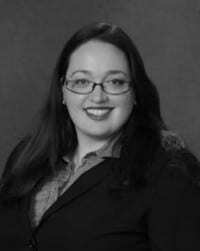 Debra holds both a Bachelor and Master of Science in Aerospace Engineering from the University of Michigan, and is an alumna of the International Space University (ISU) summer session program in space policy and law. 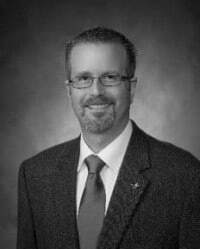 Mr. Martin “Marty” Frederick serves as Corporate Director for Civil Space Programs at Northrop Grumman Corporation in the Falls Church, Virginia. Mr. Frederick is the primary interface to senior customer leadership in Washington, DC on issues related to civil space activities, including Earth science, space science, human and robotic exploration, aeronautics research, and space technology. He works closely with key government customers, business sectors leadership and corporate staff to oversee priority civil space related initiatives. His areas of responsibility include National Aeronautics and Space Administration (NASA), National Oceanic and Atmospheric Administration (NOAA), United States Air Force (USAF), and other government agencies. Mr. Frederick has served the broader aerospace and defense communities in numerous associations, councils, and professional societies. He is past Chair of the TechAmerica Space Enterprise Council, Aerospace Industries Association (AIA) Space Council, and American Institute of Aeronautics and Astronautics (AIAA) National Capital Section. He is currently the President of the Maryland Space Business Roundtable and Vice Chair for Operations of the AIAA National Capital Section. Before joining Northrop Grumman Corporation, Mr. Frederick had enjoyed over 22 years between NASA Goddard Space Flight Center and NASA Headquarters. 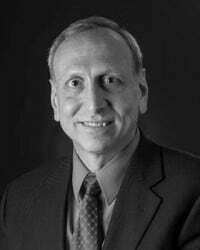 He has won NASA’s Exceptional Service Medal, was a senior fellow in the Council for Excellence in Government, and was selected to represent NASA in the Massachusetts Institute of Technology’s Sloan Fellows Program. He has his Bachelor of Science from Loyola College of Maryland and his Master of Business Administration from MIT Sloan School of Management. 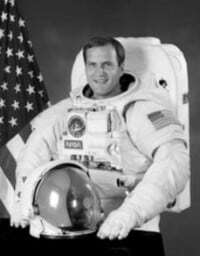 Richard (Rick) Hieb was selected as a NASA astronaut in June 1985 and flew on STS-39 in 1991, STS-49 in 1992, and STS-65 in 1994. He has logged more than 750 hours in space, including more than 17 hours of extra-vehicular activity (spacewalk). Hieb began his career as an aerospace engineer with NASA, working in Mission Operations. He was in Mission Control for the first Space Shuttle launch in 1981, and was involved in many shuttle missions in various roles, becoming an expert in rendezvous and satellite deploy and retrieve missions. Selected as an astronaut in 1985, For most people, his most well-known flight was the maiden voyage of Endeavour, which was built to replace the lost Challenger Space Shuttle. The 1992 Endeavour flight was a satellite rescue mission that involved a number of high profile spacewalks, culminating in the first and only three person spacewalk where Rick and his colleagues captured a 9000 pound satellite in their spacesuit gloved hands. They then attached the satellite to a booster rocket, and released it, sending it safely on its way to the originally intended orbit. In addition to being the only three person spacewalk in history, this held the record for more than ten years as the longest ever spacewalk, at just under eight and a half hours. In 1995 Rick left NASA to enter private industry, where he spent 20 years as an aerospace executive, managing a wide array of activities, involved in nearly every aspect of space flight and a number of other highly technical endeavors, with a workforce distributed from Alaska to Antarctica. He is currently a Scholar in Residence instructor at the University of Colorado in Boulder, recognizing the importance of this opportunity to help develop the next generation of engineering talent. Hieb received a Bachelor of Arts degree in math and physics from Northwest Nazarene University in Nampa, Idaho, in 1977, graduating with highest honors, and a Master of Science degree in aerospace engineering from the University of Colorado in 1979. 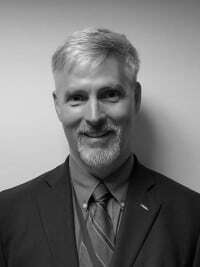 Peter L. Hays is an Adjunct Professor of Space Policy and International Affairs at George Washington University’s (GWU) Space Policy Institute and a Senior Space Policy Analyst with Falcon Research. He has been directly involved in helping to develop and implement major national security space policy and strategy initiatives since 2004 and serves as a senior advisor on policy, strategy, governance, and strategic messaging issues. Dr. Hays was presented the National Intelligence Professional Award by the Director of National Intelligence in 2014 and was chosen as the SAIC National Security Solutions Employee of the Year in 2008. He served as a Staff Augmentee at the White House Office of Science and Technology Policy in 1988 and at the National Space Council in 1990. Dr. Hays serves on the Space Security Index Governance Group, the Center for Strategic and International Studies Missile Defense Project Advisory Board, was a term member of the World Economic Forum’s Global Agenda Council on Space Security from 2010-2014, and is a member of the editorial board for Space and Defense and Astropolitics. He holds a Ph.D. from the Fletcher School and was an Honor Graduate of the USAF Academy. From 1987-2002, Dr. Hays taught international relations, defense policy, and space policy courses at the USAF Academy, School of Advanced Airpower Studies, and National Defense University; subsequently he has taught the Space and National Security and Science, Technology, and National Security Policy graduate seminars at GWU. 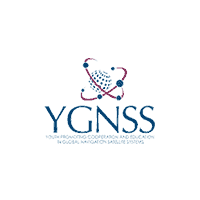 Major publications include: Handbook of Space Security, Space and Security, and Toward a Theory of Spacepower. As Associate Administrator, he manages and executes the Space Technology programs, focusing on infusion into the agency’s exploration and science mission needs, proving the capabilities needed by the greater aerospace community, and developing the nation’s innovation economy. He is a recipient of the NASA Outstanding Leadership Medal and the Presidential Rank Awards of Meritorious and Distinguished Executive, and is an American Institute of Aeronautics and Astronautics Associate Fellow. 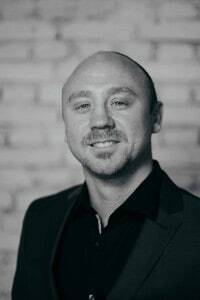 Jurczyk is a graduate of the University of Virginia where he received a Bachelor of Science and a Master of Science in Electrical Engineering. He currently lives in Fredericksburg, Va. with his wife Ann. They have two adult daughters. 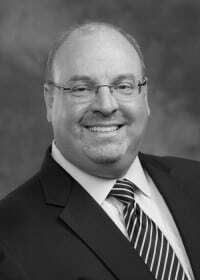 Clay Mowry has worked for over 25 years in the commercial launch and satellite sectors serving in government, as the leader of an industry trade association and as a senior executive for leading commercial launch services companies. Mr. Mowry joined Blue Origin in September 2016 as Vice President for global sales, marketing and customer experience. His mission is to provide customers with safe and affordable commercial space transportation services with the reusable New Glenn and New Shepard launch vehicles. Mowry previously served for 15 years as the President and Chairman of Arianespace, Inc. As the head of the Arianespace’s U.S. subsidiary, he was responsible for managing the company’s sales, marketing, strategy, government relations and communications activities. In addition to his work at Blue Origin, Mr. Mowry is the Vice President of Finance for the International Astronautical Federation. 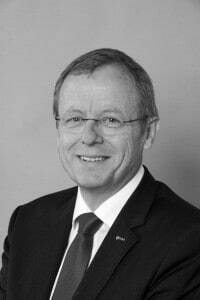 He currently serves on the advisory boards of Via Satellite magazine and the Space Generation Advisory Council. Mr. Mowry is also the founder and Chairman of the Future Space Leaders Foundation, a non-profit organization dedicated to the career development of young space and satellite industry professionals. Victoria Samson is the Washington Office Director for Secure World Foundation and has nearly twenty years of experience in military space and security issues. Before joining SWF, Ms. Samson served as a Senior Analyst for the Center for Defense Information (CDI), where she leveraged her expertise in missile defense, nuclear reductions, and space security issues to conduct in-depth analysis and media commentary. Prior to her time at CDI, Ms. Samson was the Senior Policy Associate at the Coalition to Reduce Nuclear Dangers, a consortium of arms control groups in the Washington, D.C. area, where she worked with Congressional staffers, members of the media, embassy officials, citizens, and think-tanks on issues surrounding dealing with national missile defense and nuclear weapons reductions. Before that, she was a researcher at Riverside Research Institute, where she worked on war-gaming scenarios for the Missile Defense Agency’s Directorate of Intelligence. Known throughout the space and security arena as a thought leader on policy and budgetary issues, Ms. Samson is often interviewed by multinational media outlets, including the New York Times, Space News, and NPR. She is also a prolific author of numerous op-eds, analytical pieces, journal articles, and updates on missile defense and space security matters. Robbie Schingler is the Co-Founder and Chief Strategy Officer of Planet. Prior to Planet, Robbie spent 9 years at NASA, where he helped build the Small Spacecraft Office at NASA Ames and was Capture Manager for the Transiting Exoplanet Survey Satellite (TESS). Robbie later served as NASA’s Open Government Representative to the White House; and served as Chief of Staff for the Office of the Chief Technologist at NASA. He received a MBA from Georgetown University, a MS in Space Studies from the International Space University, and a BS in Engineering Physics from Santa Clara University. Robbie was a 2005 Presidential Management Fellow. Taryn Tomlinson has spent her career committed to exploring and discovering space, from roles in academics to industry and now in government. Taryn co-founded a high-tech space startup in 2003, and subsequently sold it in 2008, after which she joined the Canadian Space Agency (CSA). She has been an engineer and project manager at the CSA for 10 years, and is currently on a mandate as the Chief of Staff to the President. Taryn gravitates to discussions on innovation, on leadership, and the contribution of the diverse players in the space sector ecosystem. Taryn holds a Bachelor’s Degree in Electrical Engineering from McGill University and a Master’s Degree in Space Science from the University of California, San Diego. Johann-Dietrich ‘Jan’ Wörner became the ESA Director General on 1 July 2015. 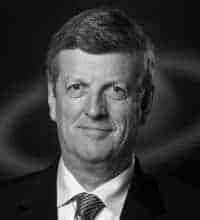 Previously, from March 2007 to June 2015, he served as Chairman of the Executive Board of the German Aerospace Center (DLR). Jan Wörner has received honorary doctorates from New York State University at Buffalo (USA), technical universities of Bucharest (Romania) and Mongolia, the Saint Petersburg University for Economics and Finance (Russia) and École Centrale de Lyon (France). He has received the Federal Cross of Merit (Officer’s cross, 1st class) of the Federal Republic of Germany for his continuous efforts regarding the next generation of scientists and Germany as a location for Science, Technology and Engineering. He has furthermore been awarded the honours of Knight of the French Légion d’Honneur.